In 2015, two configure, price, quote products were bought by enterprise companies, making it five major acquisitions in two years. Since then, two more acquisitions. So, what's driving up the value in automated sales solutions, making quote-to-cash products one of the most highly sought after and attractive pieces to one's portfolio? A number of analysts point to the introduction of the SaaS model as the springboard to the growing demand for sales automation. Cloud-based CPQ solutions became much more affordable and prevalent to SMBs looking for ways to stay competitive in the global market. We've compiled a list of the most notable CPQ acquisitions in the last eight years. The chart lists the product, buyer, date and price of acquisition, deployment offering(s), integration option(s), and press announcement. *Note - Information listed below was found on the respective company's website. 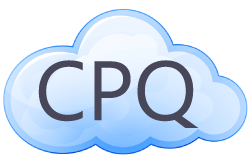 Is there any coincidence that half of the companies (Salesforce, Infor, Oracle) buying CPQ products include customer relationship management (CRM) in its product line? Many analysts agree that marrying CPQ and CRM solutions provide sales professionals with an unified framework for different elements of the sales cycle. The combination of these platforms help sales professionals efficiently manage their customer, distributor, reseller, and partner interactions and transactions. Moreover, sales professionals become self-sufficient in business processes like subscription billing, pricing, quick quote generation, and bundling of complex services with products in orders. With small and large businesses competing against each other in the global market, investing in your sales team is critical. Businesses all over the world are adopting automation tools to increase the deal size, shorten sales cycles, reduce quoting errors and delays, and improve customer loyalty. How Will These Acquisitions Affect The CPQ Landscape? In the chart above, take a look at the 4th line. Notice how many business systems these CPQ applications integrate into? Multiple, right! That was prior to the acquisition. Now, most have narrowed its focused to only the parent company's platform. In my opinion, three things will happen in the near future. First, it's no surprise, but expect more acquisitions. Second, existing CPQ vendors will broaden its integration offering into more CRM and ERP platforms. Finally, watch for a shift in product configurator offerings. Manufacturers are beginning to move away from still images and adopting 2D / 3D visual.